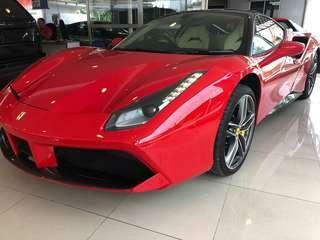 Ferrari 488 GTB Unregistered Showroom Condition Local AP Low Milleage Rare Unit in Market V8 Engine 660 Horsepower Dual Clutch Tranmission Suspension Lifter Interested? Can call direct 0193877121 for appoitment. 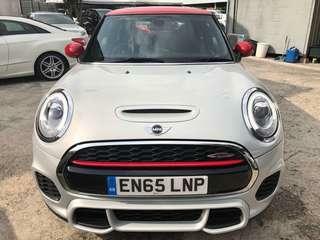 Mini Cooper JCW WORKS Tahun 2016 Full Spec Low Milleage Ap Holder Local AP Special offer Specification; 2 DOOR , JCW VERSION , 228 HORSE POWER , RED TOP, SPORT AND ECO MODE , PADDLE SHIFT, HEAD UP DISPLAY. Interested? Boleh terus hubungi 0193877121 untuk info lanjut. 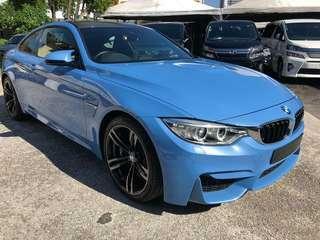 BMW M4 3.0 Tahun 2016 Unregistered Local AP Ap Holder Showroom Condition Low Milleage Special offer for serius buyer Guaranteed Good Condition Boleh terus hubungi 0193877121 untuk temujanji.